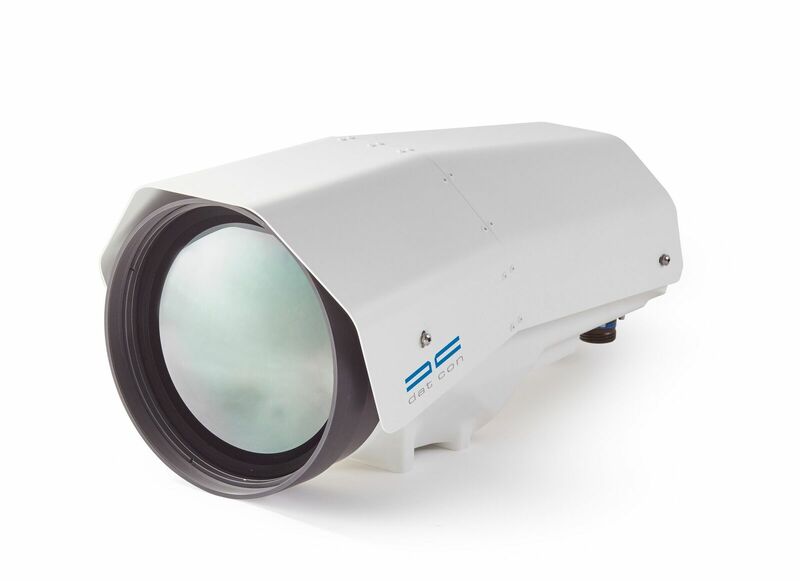 CLRT-Series cameras are a range of cooled Medium Wave Infra-Red (MWIR) thermal imaging cameras. They employ the latest focal plane array technology to meet long-range surveillance and target identification requirements. CLRT-Series have a very high life span (2 times higher than most cameras in this range) because they are fitted with long life cooler and use HOT detector type (XBn) that runs at higher temperatures than regular InSb detectors thus expanding the lifetime of the cooler. CLRT-Series cameras incorporate continuous zoom lenses with autofocus and F/4 to ensure high sensitivity even with high magnification. This makes CLRT-Series cameras an ideal tool for very long range observation over sea and land.